Russian-terrorist troops in Donbas continue to be active, flouting the Minsk agreements and firing on the ATO forces’ positions and civilian objects (incl. with the use of heavy weapons). Enemy sabotage and reconnaissance activity was also observed in a number of sectors. 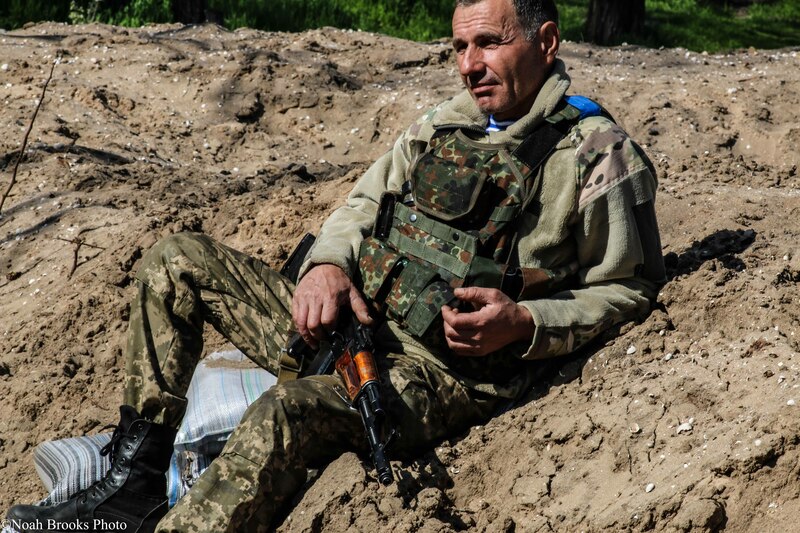 On the Opytne-Vodyane stretch, militants opened fire twice from 120 mm mortars. Ukrainian troop positions northeast of the settlement of Pisky came under fire from a wide range of weapons (from 122 mm artillery to small arms). The ATO forces’ positions in the area between Nevelske and Krasnohorivka were shelled with 152 mm artillery, as were those located south of Krasnohorivka railway station and near the settlement of Troitske. In the Avdiivka and Mar’inka areas, the stretch between Novohryhorivka and Hranitne, and in the vicinity of Hranitne itself, terrorists fired on Ukrainian troop positions using 122 mm artillery and 120 mm mortars. During the night, enemy armored vehicles were observed advancing to the front line near the settlement of Hranitne (two tanks, each firing about ten 125 mm shells on the ATO forces’ positions). To the north, near Novolaspa, the enemy was observed repeatedly opening fire with the on-board weapons of BMP-2 infantry fighting vehicles and BTR-80 armored personnel carriers. Over the past 24 hours, militants operating in the coastal regions continued artillery and mortar shelling, alternated with attempts to engage the advanced positions of the ATO forces using small infantry groups operating from the “neutral zone.” The Russian-terrorist forces’ command has made numerous attempts to establish continuous cooperation between militant infantry and artillery operating in this area. At present, identified in the coastal regions are a total of three terrorist artillery groups, including a total of eight 122 mm and 152 mm gun batteries. One artillery group is positioned near the village of Oktyabr, the second, near Kominternove, and the third, southeast of Sakhanka. The enemy mainly uses 122 mm caliber cannon artillery (five gun batteries in this artillery group), occasionally 152 mm caliber guns (three gun batteries). Militants also constantly fired from 82 mm and 120 mm mortars and AGS-17 automatic grenade launchers. The enemy’s primary artillery targets in this area are the ATO forces’ supply centers and routes, as well as control and command points scouted out by militants. Strikes were mainly made in the area of the M14 highway and on the ATO forces’ advanced positions northwest of Shyrokyne. Militant artillery strikes were also observed on targets and positions near the settlements of Sopyne, Berdyanske, Lomakyne, Talakivka and Lebedynske. Terrorists in the Svitlodarsk bridgehead area (near the settlements of Novoluhanske, Svitlodarsk, and Luhanske) employed 152 mm artillery during the past 24 hours. The militants’ artillery units are positioned inside the Yenakijeve – Vuhlehirsk – Bulavynske “triangle.” The enemy in this sector also resorted to the “traditional” tanks+mortars tactic. The ATO forces’ positions near the settlements of Krymske and Novotoshkivka were shelled from mortars and AGS-17 grenade launchers; while their positions near the settlement of Schastya and north of Stanytsia Luhanska came under fire from tanks and BMP infantry fighting vehicles. In the vicinity of Popasna, Katerynivka, Stepne and Orikhove, the enemy employed several mortar squads simultaneously (a total of eight 120 mm and twelve 82 mm mortar weapons). A sharp increase in militant activity has been noted in Donetsk. Over the past few days, a further 1,500 personnel have been transferred there from the “second echelons.” These are mainly mercenaries with Russian citizenship. A battery of 203 mm 2S7 “Pion” self-propelled guns (five units) has arrived in the Kyivs’kyi district of Donetsk. Some fifteen fuel-tanker trucks have also arrived in Donetsk, and three T-80 tanks have been delivered from Russia on trailers. A militant motorized infantry battalion, reinforced with two tank companies, has been transferred to the vicinity of Yenakijeve and Vuhlehirsk: twenty BMP-1 and BMP-2 infantry fighting vehicles, nine BTR-70 and BTR-80 armored personnel carriers (including at least four BTR-80A), and six tanks arrived near Yenakijeve; ten tanks (mainly T-72BA, and two or three T-64BV) entered Vuhlehirsk, following the earlier arrival of twelve other armored fighting vehicles (mainly MT-LB multi-transporter trucks, and BMP-1 and BMP-2 infantry fighting vehicles). Militants of the “LNR” [Luhansk People’s Republic] continue pulling up armored vehicles and weaponry to the salient between the settlements of Schastya and Stanytsia Luhanska. Deployment of yet another terrorist unit – a reinforced composite motorized infantry battalion with artillery – has been observed in the area of Krasnyi Yar, Pankivka, Hlynyane, Vesela Hora, Obozne, Pryvitne and Khrystove. In total, the weaponry located in the area of the salient includes fifteen tanks, thirty-four armoured fighting vehicles (BMP-1, BMP-2, BTR-70, -80, -80A, -82A, and BPM-97 “Vystrel” armored vehicles, MT-LB multi-purpose transporters, BRDM-2 reconnaissance and scouting vehicles), plus an artillery group (three batteries, comprising six 122 mm D-30 guns, eight 122 mm “Gvozdika” SAU 2S1 self-propelled guns, and eight 122 mm “Grad” BM-21 MLRS). Intensified “mobilization measures”remain in force in the “LNR” and “DNR” [Donetsk People’s Republic]. Young people are leaving Debaltseve and Vuhlehirsk en masse to avoid “mobilization” (numerous cases of “forced mobilization,” including under threat of execution, have been reported). On the Russian side of the border, men younger than 50 are no longer allowed to enter Russia. 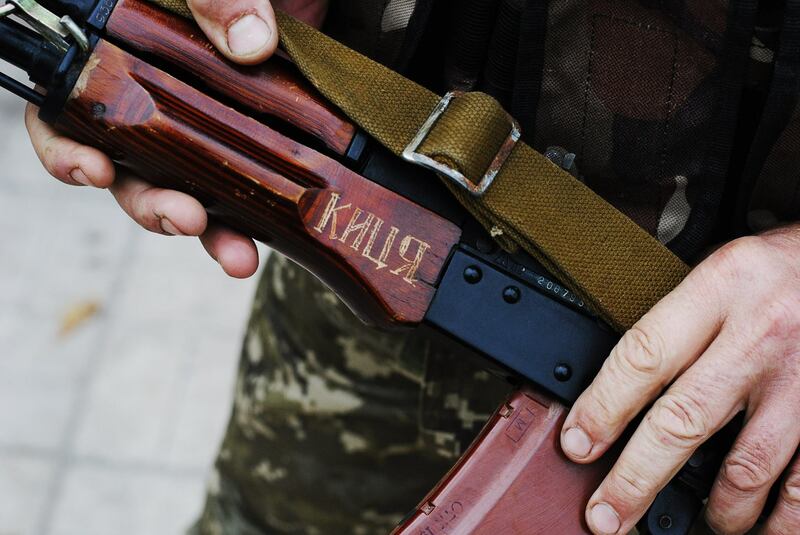 Up to 500 men from the Russian Federation have been transferred to Luhansk. These militants underwent training at the training center of the Main Intelligence Directorate of the General Staff of the Armed Forces of the Russian Federation in Rostov-on-Don (Russian Federation). The majority of them are graduates of “sabotage courses.”The arriving Russians are disguised as “Cossacks,” wearing fur hats, trousers with piping, etc. A column of armoured vehicles (15 tanks, 28 infantry fighting vehicles and armored personnel carriers) arrived from Russia via Krasnodon. Mobile phone communications were jammed while the column was passing through the area.